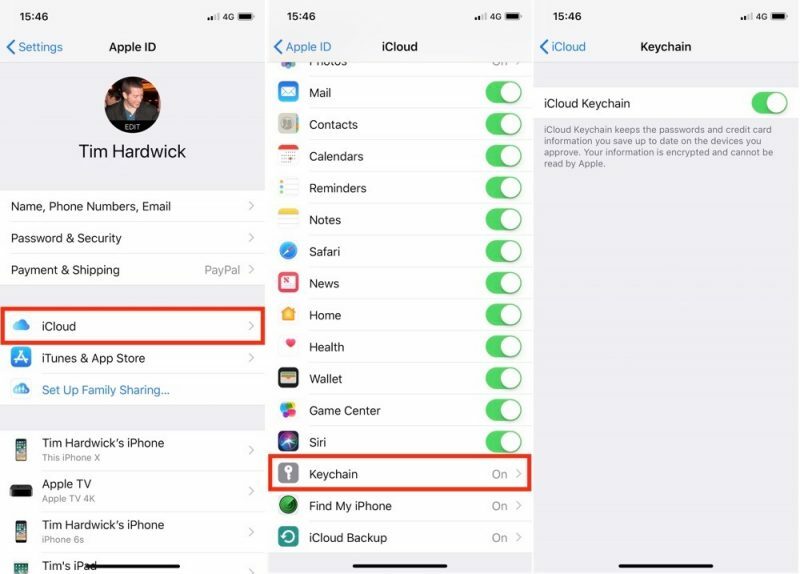 iCloud Keychain is a feature of your Apple account that you can use to keep your website login credentials, personal details, credit card details, and wireless network information up to date and available across all your Apple devices. With so many usernames and passwords to remember these days, iCloud Keychain provides a convenient way of always having this information at hand. And with its AutoFill feature, iCloud Keychain can even enter your credentials for you when required. It's also very secure, thanks to Apple's use of end-to-end encryption. This means that only you can access your information, and only on devices where you're signed in to iCloud. 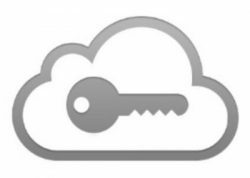 Keep reading to learn how to enable iCloud Keychain on your iOS devices. Open the Settings app and tap your Apple ID banner at the top of the Settings menu. Scroll down the list and select Keychain. Toggle on the iCloud Keychain switch and enter your Apple ID password if prompted. If this is the first time you've enabled iCloud Keychain, you'll be asked to create an iCloud Security Code or use your existing device passcode. You'll also need to enter a phone number where you can receive SMS messages for authorization purposes. If you've already enabled iCloud Keychain in the past, you'll be prompted to enter the passcode that was used to set it up previously. 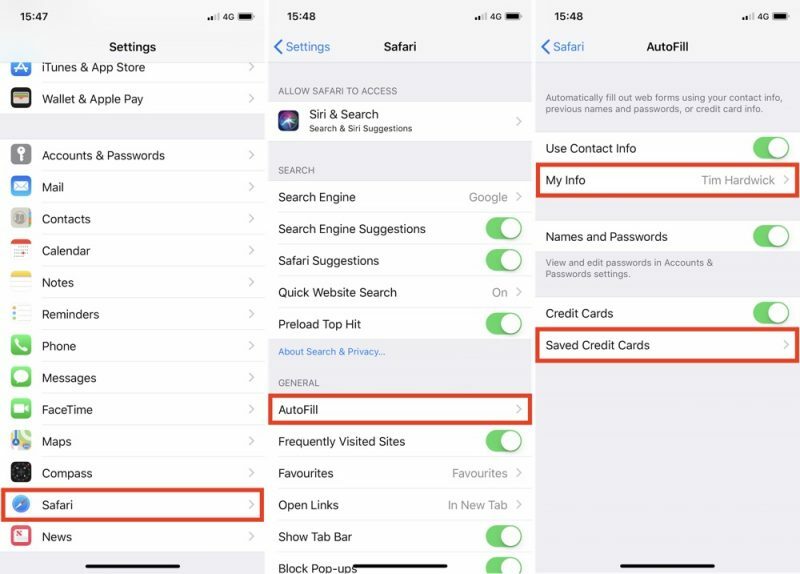 With iCloud Keychain enabled, Apple's Autofill feature will fill in your login credentials for you whenever you come across the relevant input fields on a website or in an app. On occasion, you may encounter a login screen that doesn't play nice with Autofill. In such cases, you'll need to copy and paste your username and password manually. Here's how it's done. Open the Settings app on your iOS device. Tap App & Website Passwords and use Touch ID if prompted. 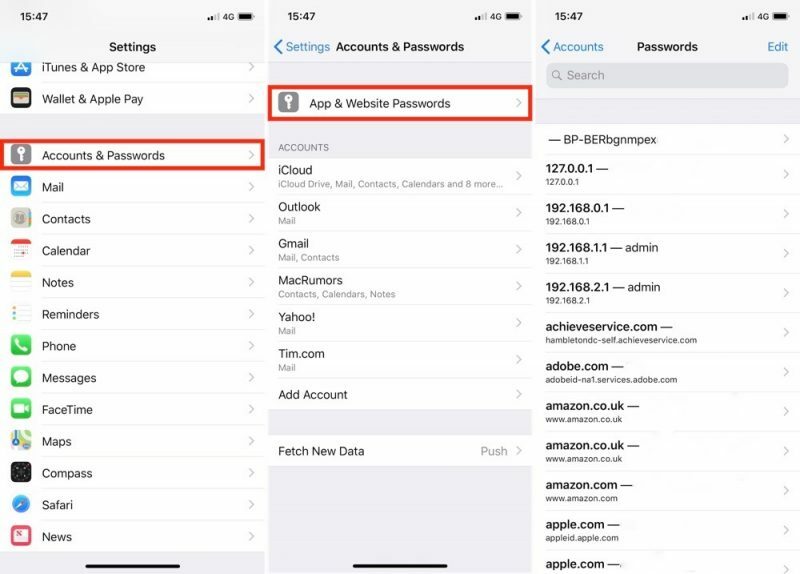 Tap the relevant login entry in the list, or using the search field at the top of the Passwords screen, type in the name of the app or website for which you need login credentials. Long press on the username/password and tap the Copy pop-up option. Now navigate back to the relevant app or website, long press the username/password input field, and then tap the Paste pop-up option. Note that you can delete login credentials by tapping Edit at the top right of the Passwords screen. You can also tap a website entry and use the Edit option to change existing username and password fields. To add personal information, tap My Info and select your contact card from the list of contacts. To add credit card details, tap Saved Credit Cards and then tap Add Credit Card. The last screen you see here also includes three toggles for selectively disabling/re-enabling AutoFill functions, which can come in handy if someone else is going to be using your iPhone or iPad. HomePod setup and use requires iCloud Keychain to be turned on. I’m gonna assume that’s why it was posted. Sure it’s a slow news day but these kinds of articles are helpful for both newbies and long time casual users / Apple news consumers who may not always be aware of everything their iPhone and the latest iOS release can do. iCloud Keychain is awful. I‘ve been using this since release and years later it’s still an unreliable mess. I just had to sign in and out of iCloud on all my devices last weekend because keychain had stopped syncing new passwords, like usual. This has happened every couple of months over the last 4 years for me. Never had this issue before. Is this still a valid option for having not the entire key chain but only a temporary sync snippet stored at Apple ? Can I set up iCloud Keychain so that my information isn't backed up in iCloud? Yes. When you set up iCloud Keychain, you can skip the step to create an iCloud Security Code. Your keychain data is then stored locally on the device, and updates across only your approved devices. If you don't create an iCloud Security Code, Apple can't help you recover your iCloud Keychain. I had this issue TODAY. Had never experienced any real issues with iCloud Keychain prior to this though. Sure was a pain to fix. Neither have I. Very reliable on the Apple devices I own.